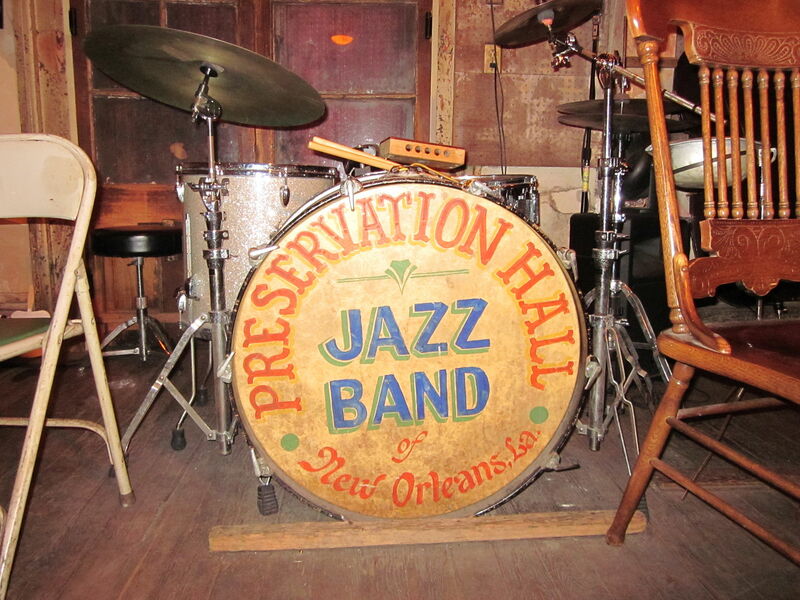 In the Preservation Hall Jazz Band’s first visit to the Apollo Theater in its fifty year history, the legendary ensemble transported the Harlem landmark and all of its inhabitants 1200 miles Southwest, to their hometown of New Orleans. Jazz lovers flocked Saturday evening to 125th street in Manhattan to listen to the Band’s music thinking that they would be able to save the trip to The Big Easy to hear some of the world’s greatest practitioners of the art. After a rousing first set, Creative Director and tuba player Ben Jaffe introduced the musicians, bringing the house to a standing ovation after pointing out his mother Sandra in the audience, a women integral to the Band’s history. The combination of a legendary Act playing an historic theater was thrilling for the concert goers who danced and swayed in the aisles as the musicians did their thing. But, no one could have foreseen the cosmic forces unleashed halfway through vocalist Freddie Lonzo’s rendition of Rattlin’ Bones. With the theater shaking and the main chandelier swinging, the Apollo lifted off of its foundations, traveling all the way to the birthplace of jazz to hover a few feet over the Mississippi River for the rest of the show. I’ve never seen anything like that, one second the theater was there, and the next it was gone. There was just a huge gap in the middle of the street. I was worried that some corporation was behind the whole thing wanting to put condos or some nonsense in that space. I was just thrilled when the Apollo came back where it belonged a little while later. All the elements seemed to be just right for the transportation of the Apollo. As for the people inside the theater, none seemed to realize that anything supernatural had occurred. When asked about their unscheduled trip, the concertgoers seemed confused, saying that they entered the Hall from a street in Harlem, and exited onto the exact same street. At least one traveler noted some annoyance over the fact that he hadn’t been able to at least grab a beignet from the French Quarter, considering that he was there anyway, but didn’t want to make too much of a fuss about it because it was still the most magical musical experience of his life.